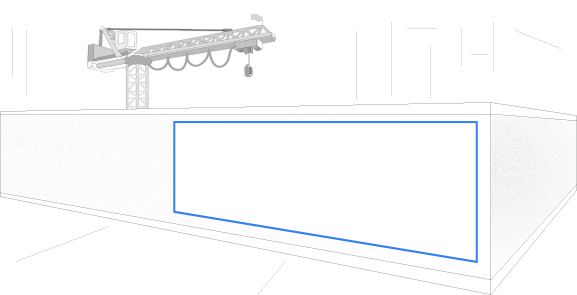 Landscape: This product is manufactured horizontally. 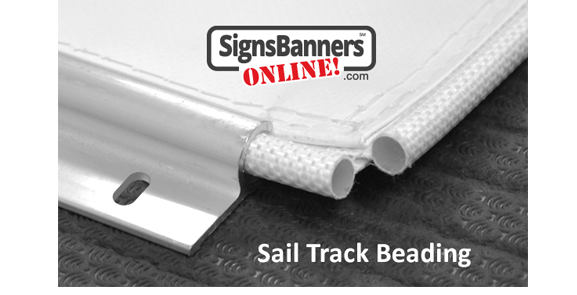 We hem the banner then sew the inner edge of the Sail Track Beading to the banner TWICE (Double Stitched). ALL FOUR SIDES are supplied with Keder. How to setup the printing file and upload: Do-It-Yourself: Use this Manufacturing Template for the banner and overlay your creative. Add to Cart, then Upload matched to the line item ready for printing, View and check each Instant Preview, Pay and Approve. You'll recieve a special web link and email. Then, watch as your order moves around the factory and to your door. 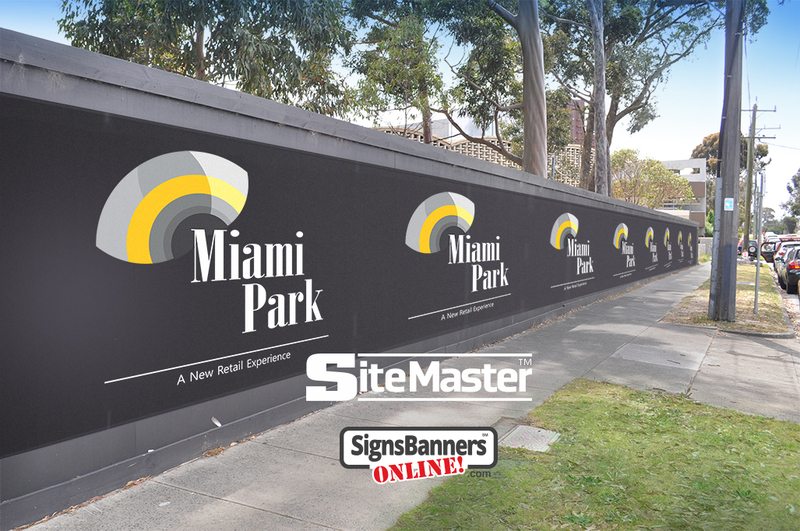 Details: Billboards are printed on quality 15oz pvc vinyl with outdoor waterproof grade substrates and with genuine UV fade resistant ink. PO's are not accounts. You will recieve Invoice Due & Payable. Payment Date must be agreed. 236" wide x 61" high. Outdoor Full SunIdeal for Real Estate Promotion, Building Works, Large Projects, Ply Hoardings. Special Offer - Was $294.40 ea. 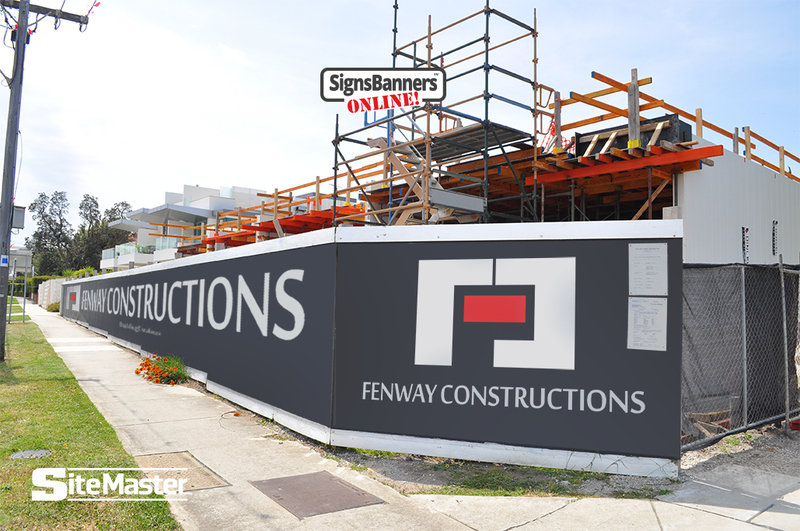 236" wide x 61" high Billboard with beading edges that slide into moulded track channels. Includes printing with your logos or insignia, double hem Beading edges. Ready to use. Easy to install. Suits ply board hoarding. Genuine 5yr ink. Includes Tax. Special Offer - Was $286.67 ea. 236" wide x 80" high. Special Offer - Was $382.96 ea. 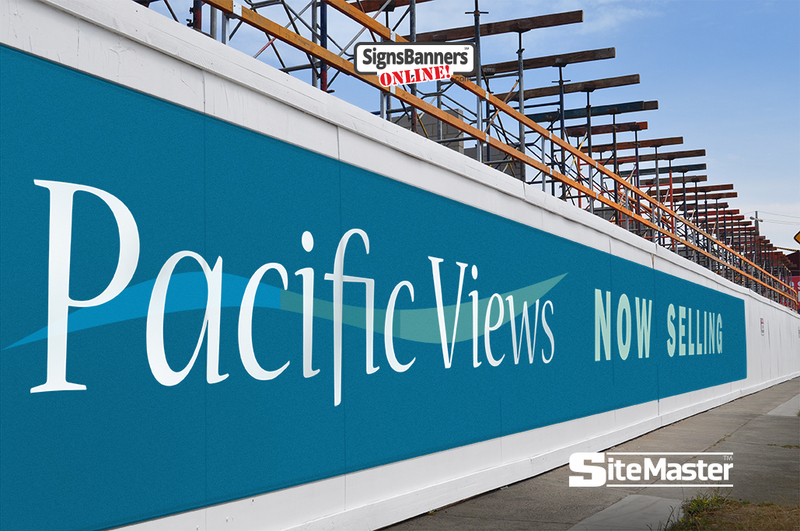 236" wide x 80" high Billboard with beading edges that slide into moulded track channels. Includes printing with your logos or insignia, double hem Beading edges. Ready to use. Easy to install. Suits ply board hoarding. Genuine 5yr ink. Includes Tax. Special Offer - Was $372.73 ea. 472" wide x 61" high. Special Offer - Was $588.00 ea. 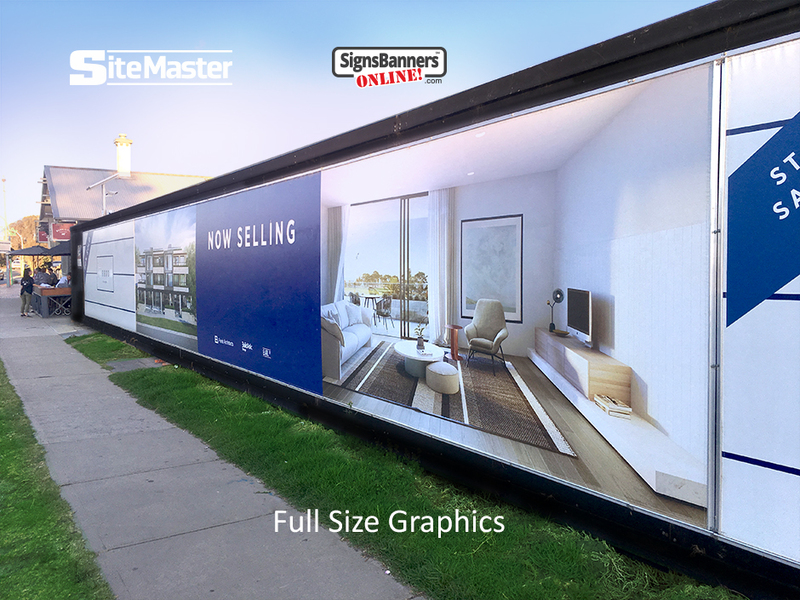 472" wide x 61" high Billboard with beading edges that slide into moulded track channels. Includes printing with your logos or insignia, double hem Beading edges. Ready to use. Easy to install. Suits ply board hoarding. Genuine 5yr ink. Includes Tax. Special Offer - Was $574.67 ea. 472" wide x 80" high. Special Offer - Was $753.33 ea. 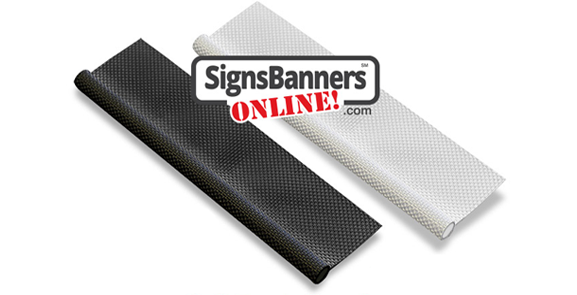 472" wide x 80" high Billboard with beading edges that slide into moulded track channels. Includes printing with your logos or insignia, double hem Beading edges. Ready to use. Easy to install. Suits ply board hoarding. Genuine 5yr ink. Includes Tax. Special Offer - Was $736.00 ea. 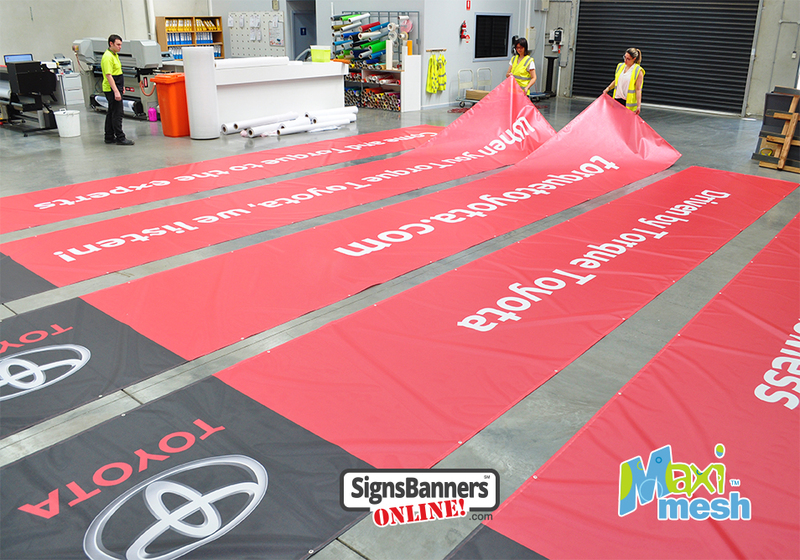 Inset banners look better, they can be tensioned and fit more fence sizes. Outset fence banners attach to the main bar rails. Check your sizes pre-order. Inside the rails is more common and favored by rental companies in high wind areas. 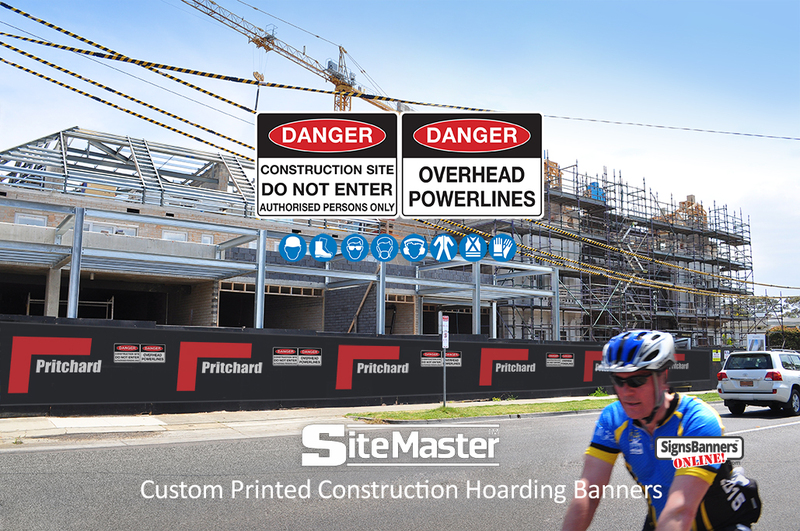 Hoarding is a temporary structure of solid construction, erected around the perimeter of construction sites to shield them from view and prevent accidental debris or rubbish. Use for general purpose billboard and hoarding covers, fencing screen covers - flexible pvc with longlife print recepters, anti-foul and anti-mould protection. This product can also be re-coated with protective aquabased clear coatings. 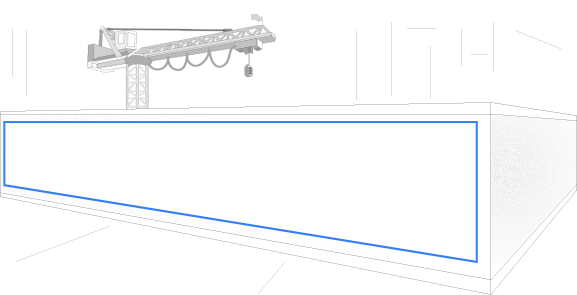 Use for eg: Land Development, Branding, Site ID: and more. Sizes can be increased via the custom page. Passionate about giving you the best and providing your with genuine user reviews. Everyday our team is striving for the best customer service and product quality, and that's reflected here with so many 5 star April reviews from places near you. "Great product, fantastic staff ready to please, they go the extra mile and then some - Highly recommended" "Thank you, Awarded 5 Star Rating"
"Extremely easy process, helpful staff, fantastic product and price. The order was placed on Wednesday and was received the Monday after! Absolutely recommended. 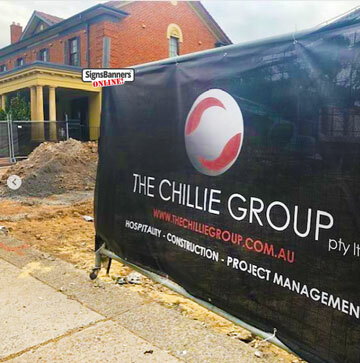 The Chillie Group" Ellie S.
You can order now, pay and be comforted knowing your product will arrive. Proceed through the Quote & Upload cart steps and pay. Your payment will be held in a neutral account. Payment to the factory is released after your goods are received by you.